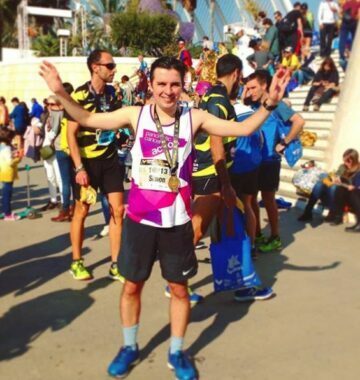 Simon Hoggart, 34, from Balham, took on the incredible challenge of the Valencia Marathon on the 19th November. 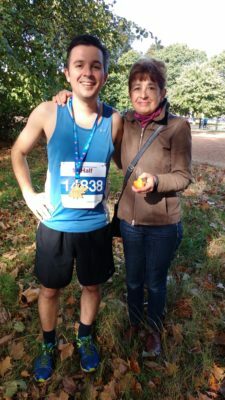 He ran in aid of Pancreatic Cancer Action to raise vital funds and awareness of the disease and has so far raised over £1,200! Simon was motivated to complete his first marathon in memory of his father, George, who sadly passed away 11 years ago from pancreatic cancer. George experienced some common symptoms of Jaundice and unexplained weight loss before he was diagnosed. If you are considering taking part in your own challenge please visit our challenge page for more information on how to get started.